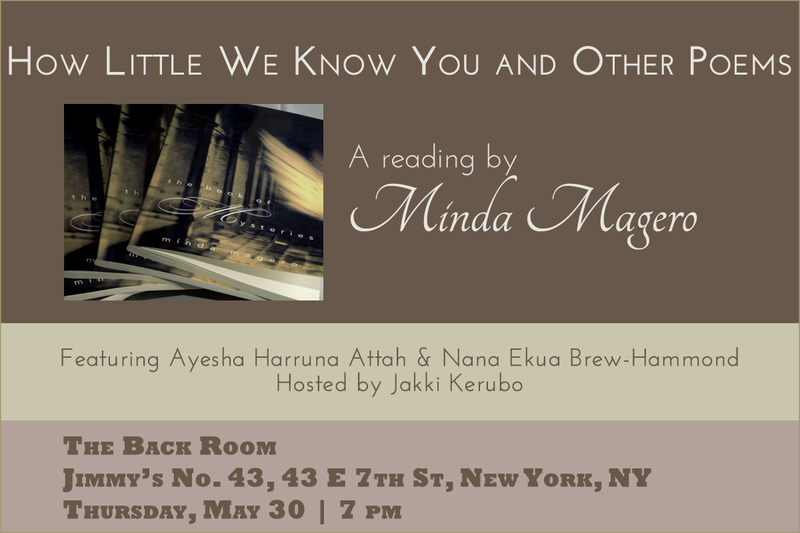 Join Minda Magero, Ayesha Harruna Attah & me for an evening of poetry and previews of new work. It's been almost a year since I made the decision to go full-throttle with my career as a writer and author i.e. quit my full-time gig and figure out how to live off of my writing. I thought the move would be about cutting the corporate cord and living a life of freedom and writing, and to a large extent it has been -- but mostly this new life has been about waiting. Waiting for checks to arrive. Waiting for word from editors, agents, clients, book store owners, educators, freelance staffing agencies... Waiting to get to a place where I'm not on the way, but have actually arrived, you know? I knew writing required patience. I pitched agents for four years before I got one, and when Powder Necklace was sold some two months later to Simon and Schuster, I waited two years for the book to be released. As I wrote my second book, I waited throughout my sleep for morning to come so I could repeat my ritual of writing on the bus on the way in to Manhattan, then writing in the library till I had to log off and go to work. But it wasn't until I left my day job that I had a "mirror moment" with the level of patience required. It turns out my job offered more than a steady check; it kept me sufficiently distracted from how much I need to write. It kept the stakes relatively low. Now, everything has changed. This change is for the better, I know. But better is hard work. As is waiting. Thank God for the sign posts along the way, those moments, that indicate I am on my way. This weekend, I attended an amazing brunch Ebony.com hosted for its contributors. Even though the voice of insecurity (and the multiple glasses of wine I'd drunk at a get-together with friends the night before) had me doubting whether I really belonged amidst the group of fiercely intelligent, purposeful, powerful women in the room; I reminded myself that all the years of pitching editors who would ignore my queries, all the free articles I wrote back in the day, the credits I slowly added to my byline had led to that moment of pause and celebration. Those moments bookend the work. And the waiting. Totally unrelated (though it's all related, I believe), I attended a conversation Chimamanda Ngozi Adichie had with her editor in promotion of her fourth book Americanah. It was so inspiring to see her mainly because I think she's a good model for how to be when you do "arrive". As she notes in the video, you remind yourself and others that you worked for it, you acknowledge the privilege, and then you get on with the work. 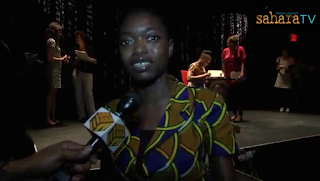 I share my thoughts on Chimamanda at the 11:20 mark.